You listen to me. While I will admit to a certain cynicism, the fact is that I am a nay-sayer and hatchet man in the fight against violence. I pride myself in taking a punch and I’ll gladly take another, because I choose to live my life in the company of Gandhi and King. My concerns are global. I reject absolutely revenge, aggression, and retaliation. The foundation of such a method…is love. I love you, Sheriff Truman. 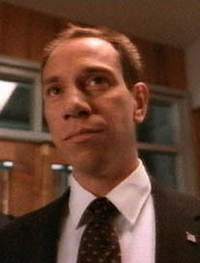 – Albert Rosenfield, Twin Peaks. Dirty Harry Potter / Harry Callahan and the Deathly Hallows.